Welcome to AeroGo UK Ltd. - the home of innovative movement solutions in the UK. 15 Years of Innovative Movement Solutions. This special offer is for a limited period only. An international shipbuilding company was using a 5 tonne heavy movable spray booth when re-spraying military landing craft. It took 15 people to move the spay booth – that was supported by 22 swivel wheel casters – into its’ correct position around the boat. 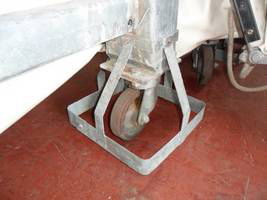 Our solution was to replace the wheel casters by air skates. 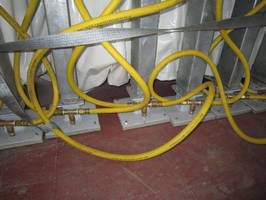 With only minor adaptations the spray booth was equipped with 22 AeroGo K12N Load Modules. The spray booth was now so easy to manoeuvre that 2 people could get it in the correct position in a minimum of time.